check mark the “House Use” option from Other Information Tab. 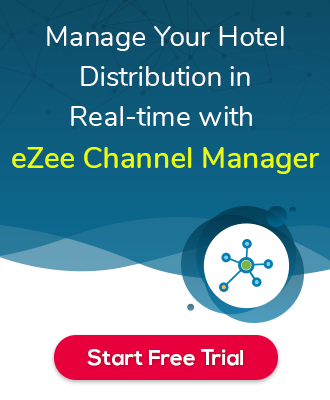 That particular guest details will be visible on the report. Refer the below screenshots for the same. Effect of the above setting is like below. 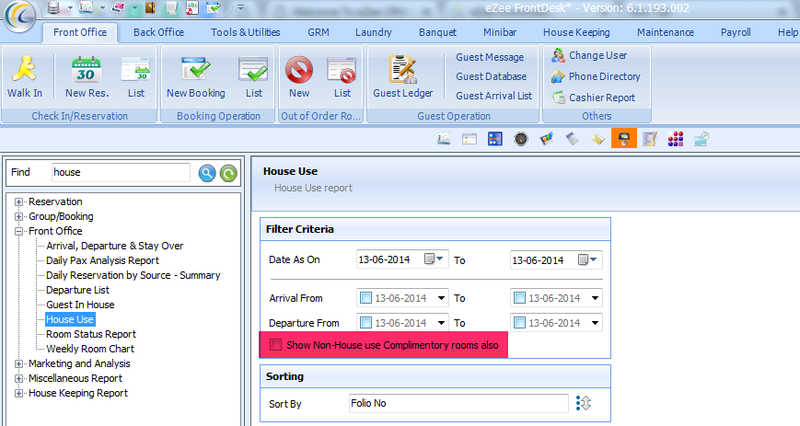 We do also have one feature for “Show Non-house use complimentary room Also” in House use report. Below is the use for the same. 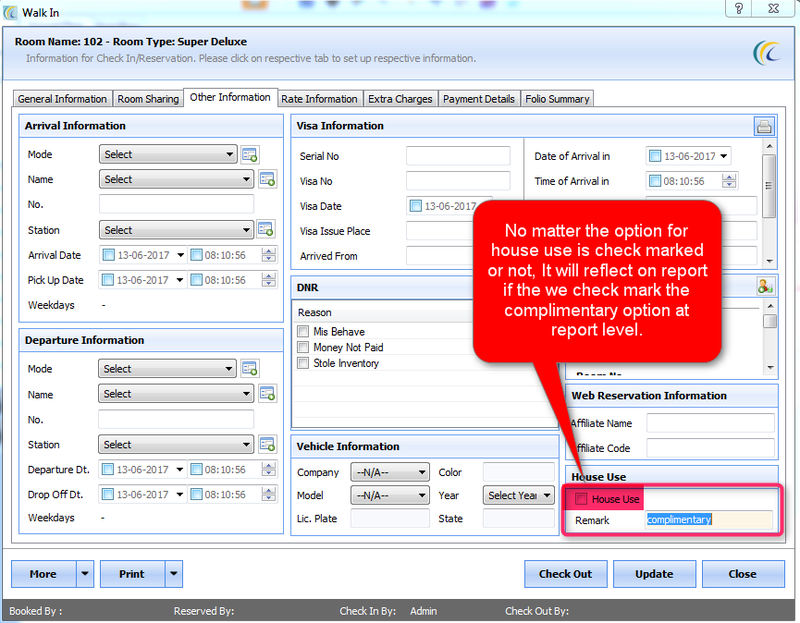 If you have the Complimentary room given to the guest/Hotel Owner/etc and house use option is not check marked, then also you can see that room in House use report but the condition is, Above given option must be check marked when you pull the report for the house use. Below are the screenshots for the same. 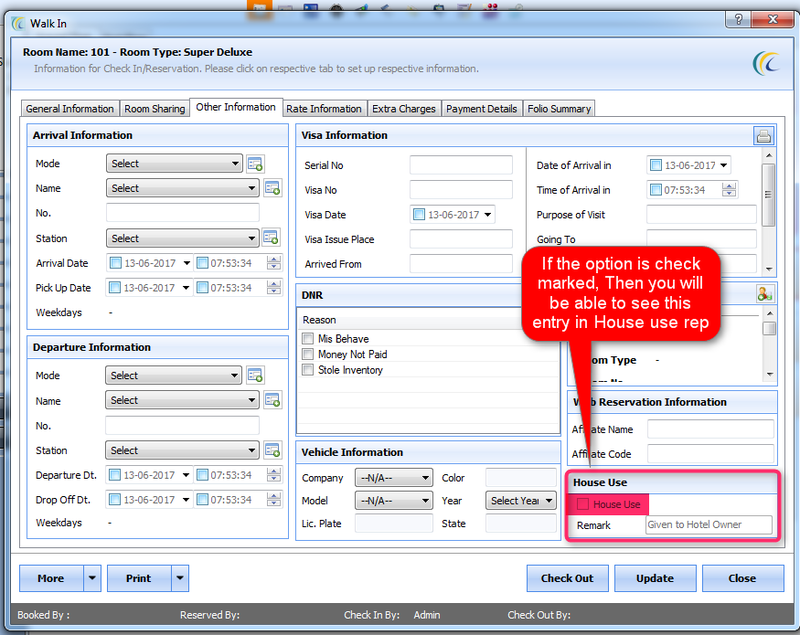 Below is the effect for the same when the option is check marked.